On April 4, 1968, Rev., Dr. Martin Luther King, Jr. was shot on the balcony of the Lorraine Motel in Memphis, Tenn. For the first time, a remarkable collection of largely unseen footage reconstructs the story as it happened, moment by moment. Witness the final days of Dr. King through unforgettable images and news footage, from his first visit to Memphis, to his famous 'Mountaintop' speech, through the murder and its aftermath. LOS ANGELES -- July 1, 2012 -- For Immediate Release -- Long-lost tapes and rediscovered images detail the unspeakable tragedy of the assassination of Rev. 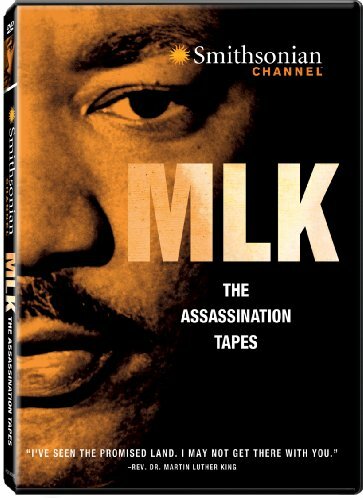 Dr. Martin Luther King, Jr.as never before in the MLK - The Assassination Tapes , available on DVD July 17 from Inception Media Group. On April 4, 1968, Rev., Dr. Martin Luther King, Jr. was shot on the balcony of the Lorraine Motel in Memphis, Tenn. For the first time, a remarkable collection of largely unseen footage reconstructs the story as it happened, moment by moment. Witness the final days of Dr. King through unforgettable images and news footage, from his first visit to Memphis, to his famous "Mountaintop" speech, through the murder and its aftermath. MLK - The Assassination Tapes captures the frantic manhunt for Dr. King's assassin; the riots that erupted across the country; the desperate pleas for peace from President Lyndon Johnson and presidential candidate Robert F. Kennedy; and poignant footage of Coretta Scott King and her children marching in Memphis just days after Dr. King's death. MLK - The Assassination Tapes is presented in widescreen with an aspect ratio of 16x9 and 5.1 digital sound. Smithsonian Channel is owned by Smithsonian Networks, a joint venture between Showtime Networks Inc. and the Smithsonian Institution. Its programs are largely inspired by the assets of the Smithsonian Institution, the world's largest museum complex. Smithsonian Channel features award-winning original documentaries, series, and groundbreaking programs highlighting America's historical, cultural and scientific heritage. Smithsonian Channel brings the American experience home in high definition and Dolby Digital 5.1 and is available to customers of DirecTV, Comcast, Time Warner Cable, Charter Communications, Cablevision, Verizon, AT&T, and more. Learn more at http://www.smithsonianchannel.com/.